Modern house designs with certain features look expensive and luxurious. Adding a few elements to modern house designs transform ordinary homes into dream homes and increase their sale prices. Lushome shares modern house design trends 2015 and ideas for bringing ultimate luxury and comfort into homes. The house design trends and tips for decorating will help create beautiful and comfortable homes offering luxurious lifestyle and increase home values to sell homes faster for higher prices. 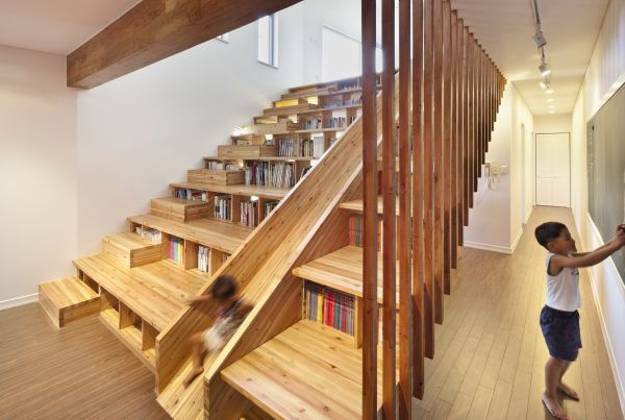 Modern house designs can be improved in different ways. 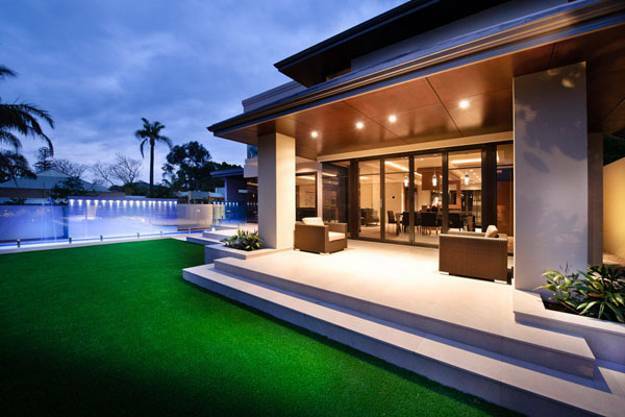 Architectural designs and room furniture, yard landscaping and lighting ideas can dramatically change modern houses. 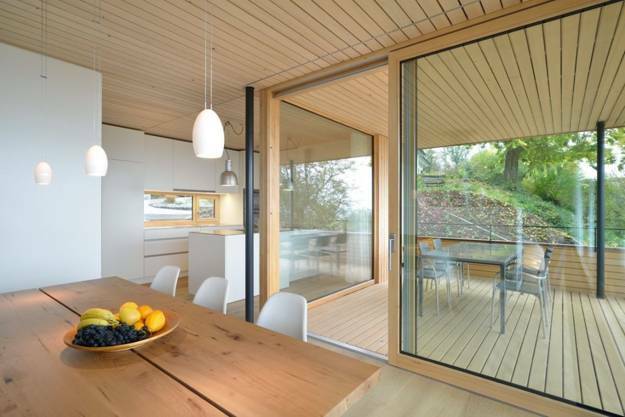 Modern house design trends 2015 show how to add chic and luxury to your lifestyle. The good location helps to sell a property faster, but any house can be redesigned and decorated with chic and luxury that attract potential home buyers. Here are some tips for your home if you want to live like a celebrity in a beautiful, comfortable and luxurious modern house that has character and charm. 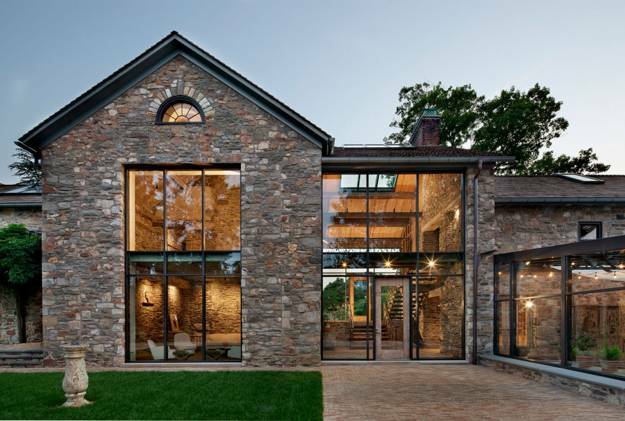 Some architectural elements, yard landscaping ideas, contemporary solutions, interior design ideas and materials that reflect modern house design trends 2015 can turn homes into fabulous, elegant, very stylish and luxurious places to live and work. 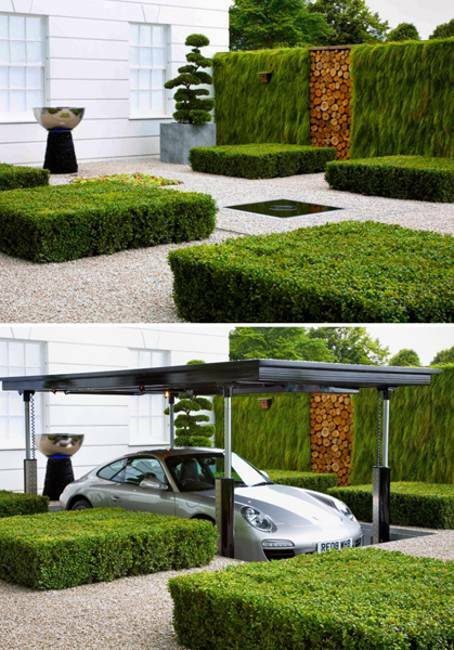 Underground garage which is almost invisible and features a ground level parking with a roof adds chic to modern house designs and create more comfortable outdoor living spaces. 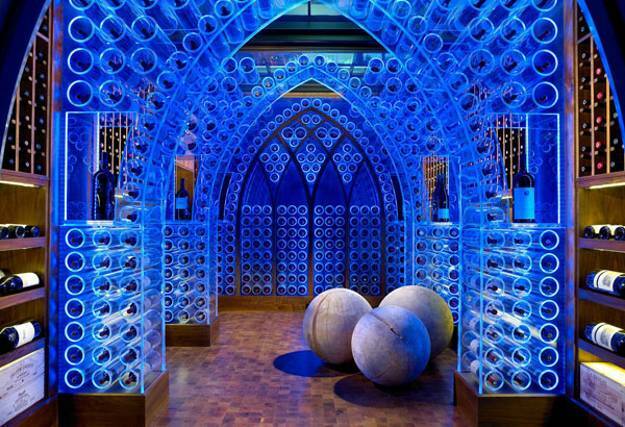 Spacious wine cellars with glass ceiling designs and LED lights are modern house design trends that add interest, contemporary feel and chic to modern interiors. 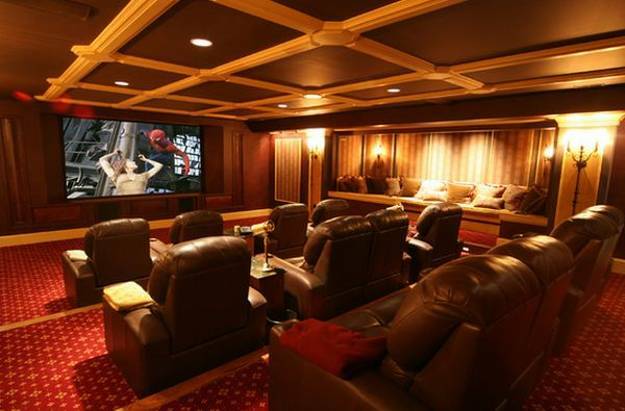 Home theater with luxurious, soft and comfortable theater seats fill modern basements with chic and fun. 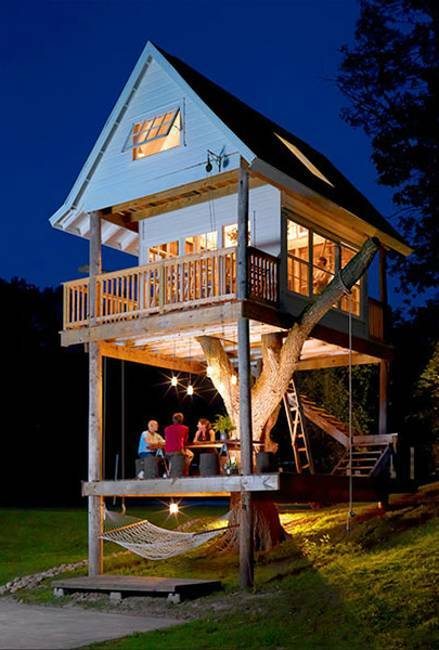 Tree houses for kids, attractive garden house designs for adults, spacious metal or wooden gazebos for entertaining with family and friends, decorated with climbing flowers pergolas, built-in fireplaces, summer kitchens, elegant outdoor seating areas, fire pits and contemporary patio ideas are modern house design trends that add chic and style to modern life, personalize yards and increase home values for successful sale. 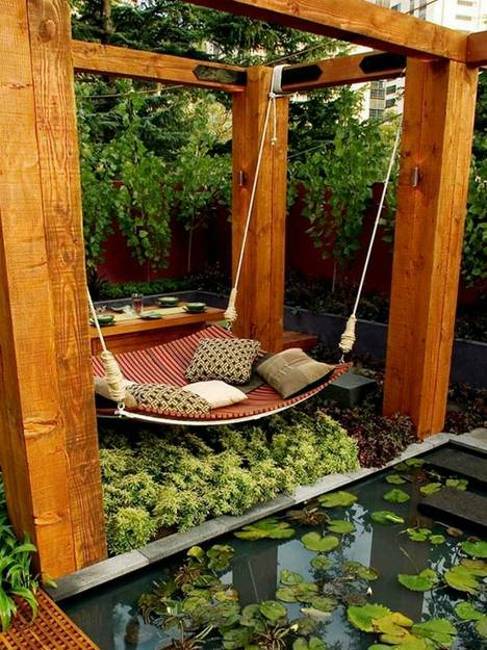 Beautiful garden design and yard landscaping ideas, original yard decorations, extravagant solutions and creative artworks add interest, a personal touch and chic to backyard designs. 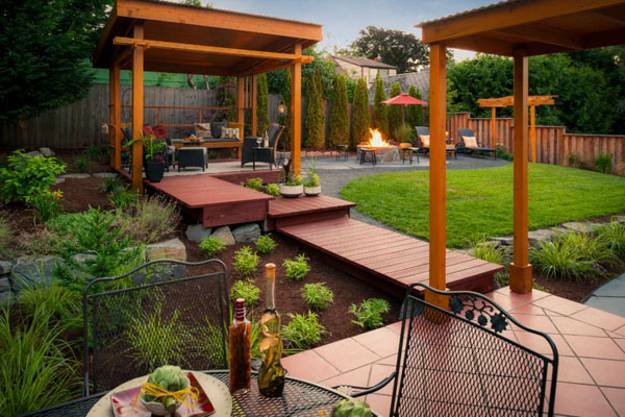 Large outdoor living spaces, balconies, patios, porches and terraces provide chic places to enjoy warm and sunny days while improving and beautifying modern house designs. 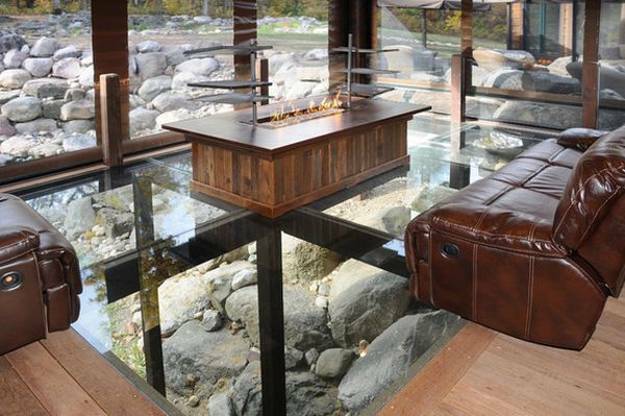 Glass floor and ceiling designs look spectacular, unusual, expensive and impressive. Glass walls, glass floor and ceiling designs define interior design trends that create bright and spacious rooms. 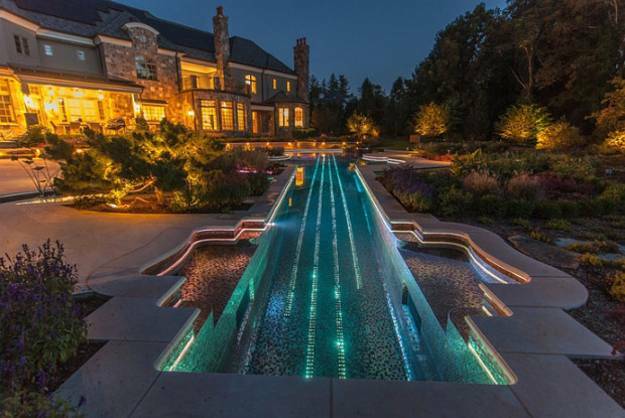 Infinity pools and swimming pools with waterfalls, decorated with creative and colorful LED lighting make outdoor living spaces look exciting, exclusive and amazing reflecting latest house design trends. 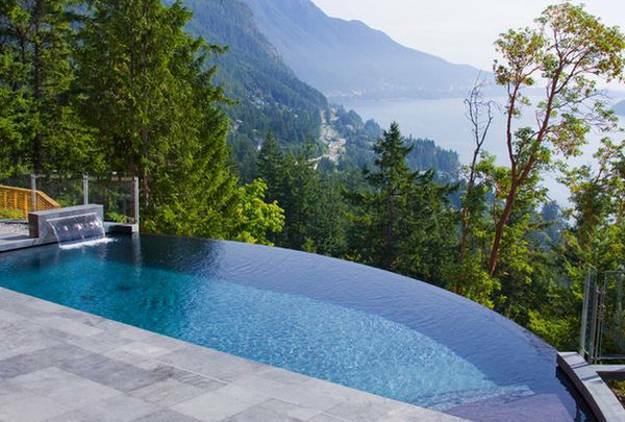 Rooftop pool designs, roofed terraces with outdoor showers and comfortable outdoor seating areas, and rooftop gardens are modern house design trends for 2015 that create beautiful, functional and stylish outdoor living spaces that stretch home interior outdoors and provide spectacular views. 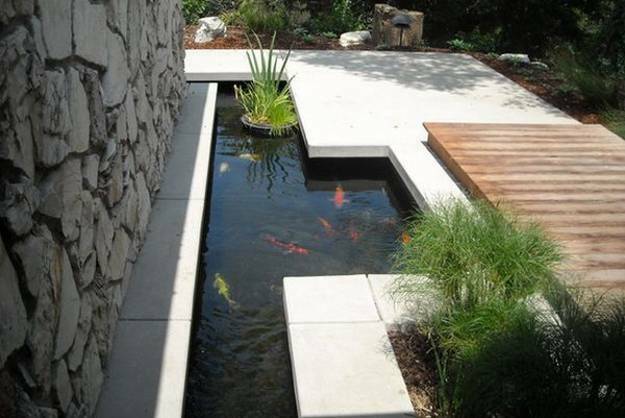 Koi fish ponds and waterfalls, indoor and outdoor fountains, professionally designed yard landscaping and garden layouts, stone wall designs and paths, manicured flower beds and shrubs, natural wood, concrete and stone patio ideas look expensive, comfortable, inviting and very beautiful, creating attractive and tranquil yard landscaping with secluded places to rest or meditate. 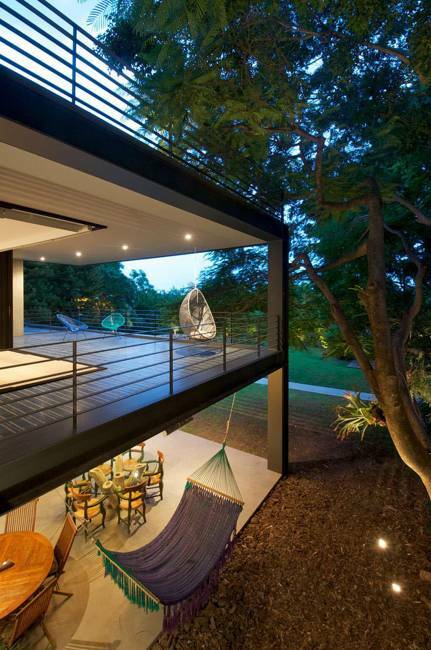 Modern house design trends 2015 connect home interiors with outdoor rooms and allow to connect to the nature in style. Spacious and bright, functional and contemporary kitchen design ideas, comfortable dining areas, plenty of storage spaces and efficient kitchen lighting design are popular interior design trends for 2015. 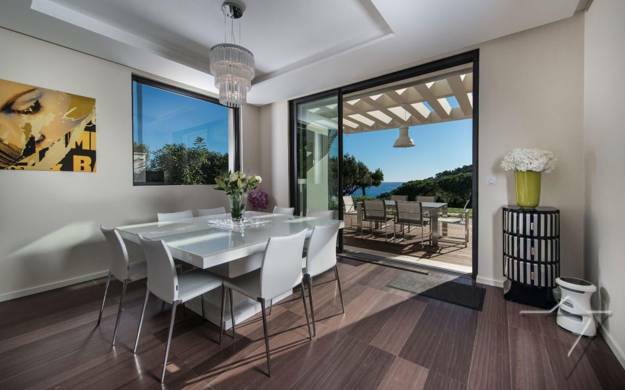 Glass wall design and large windows, glass room dividers and partition walls, folding or sliding glass doors that connect home interiors with outdoor living spaces improve modern house designs, their look and functionality, setting beautiful house design trends for 2015. 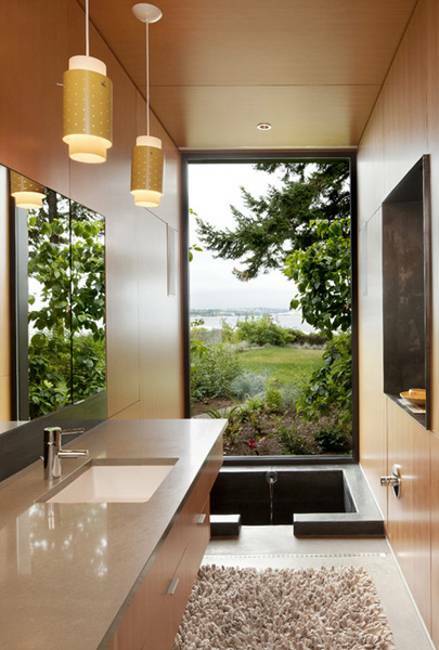 Modern bathroom design with large windows and gorgeous views, a spa area and expensive natural materials for bathroom decorating add to modern bathrooms appeal, offering chic and luxurious lifestyle, increasing home values for quick sale and creating impressive homes. Spacious walk-in closets and stylishly decorated dressing rooms are great additions to any modern house design. These rooms create chic storage spaces and add value to modern house designs. Wood furniture for storage, beautifully designed shelves and cabinets, and efficient contemporary lighting ideas are modern house design trends for 2015 renovations and interior redesign projects. 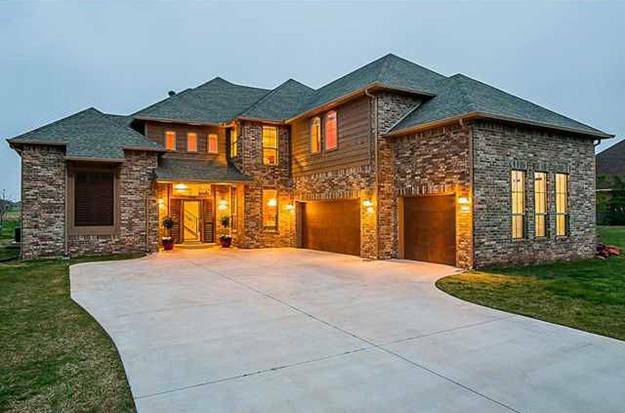 Beautiful driveways and front door decoration, impressive exterior wall design and bright outdoor lights create a wonderful impression, improve curb appeal and set a nice mood for enjoying the rest of the house. Attractive outdoor lights, stylish and efficient lighting design and elegant simplicity of outdoor decor, spacious driveways and impressive house exteriors are modern house design trends for 2015 that add expensive look and feel to houses and yards, creating a beautiful presentation and safe, comfortable, spectacular and inviting outdoor living spaces. 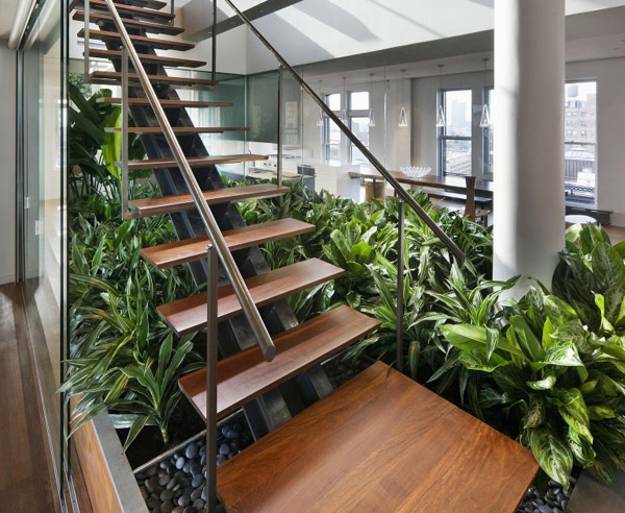 Indoor garden design ideas, hanging or vertical gardens, live walls and indoor water features connect home interiors with the nature, and bring Green ideas and stylish eco friendly accents into luxurious, fresh and modern interior design and decorating. 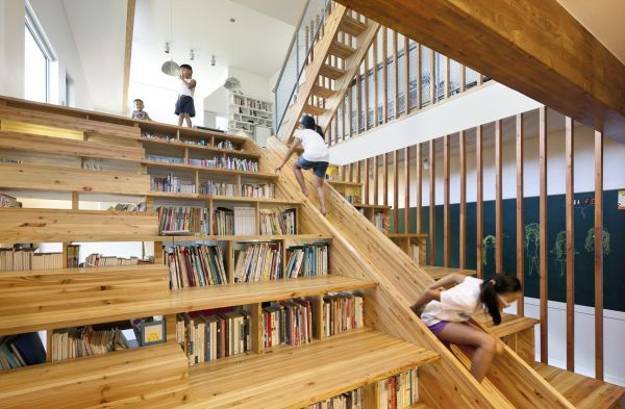 Multifunctional staircase designs with storage spaces, book shelves, seats and kids slides are great for luxurious and creative house design where kids and adults will have lots of fun. 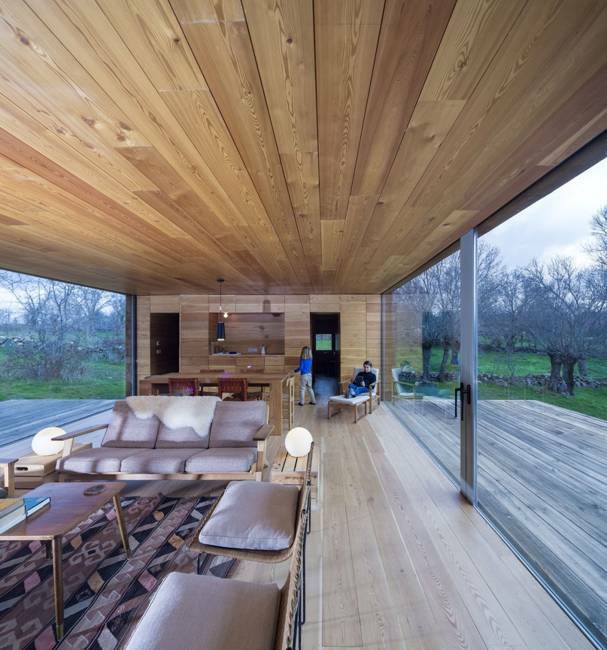 Natural wood, spaces saving and multifunctional interior design ideas, combined with unique and playful decorating, are modern house design trends 2015 that create truly comfortable, more spacious and family-oriented, interesting and modern home interiors.